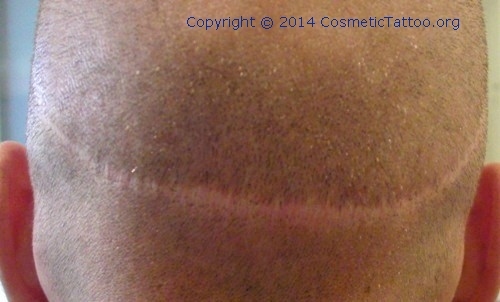 Abstract: Hair Transplant scars may sometimes look a little ugly but we discover something even more ugly taking place within the Scalp MicroPigmentation industry. 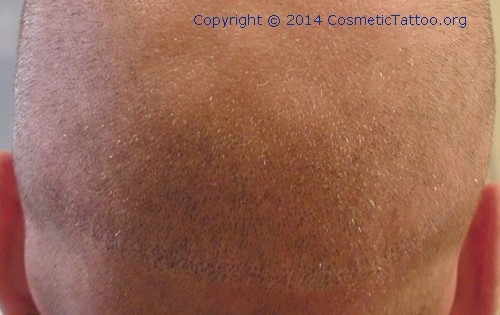 The service that involves tattooing a small pointillism [a tiny dot] into the scalp in order to camouflage hair transplant scars or bald spots is known by a plethora of names, Scalp Tattooing, Scalp Stippling, Scalp Micro-Pigmentation [SMP], Trico Pigmentation, Hair Simulation, Micro Hair Replication, Transdermal Hair Replication, Hair Replacement Treatment and a host of other terms. Some of the service providers have even gone as far as registering trade marks over the names that they use to describe what are all essentially the act of tattooing a small amount of pigment into the skin. In this article I discuss some of the controversial aspects of the service and some disturbing trends that any patient who may be considering this treatment needs to be be aware of. After discussion with a dozen or so industry members and reviewing a range of publications I discovered to my surprise that scalp tattooing has been performed for at least 25 years and possibly up to 30 years. 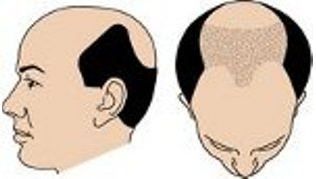 In the past it was mostly used to help camouflage small scars on the scalp and over time it has progressed towards being a way of hiding hair transplant scars and camouflaging bald patches and now men with androgenic alopecia [male pattern baldness] even opt for tattooing of the entire scalp. At one time this service was offered almost exclusively by permanent makeup artists many of whom have a background in the beauty industry, the service of tattooing large sections of scalp to disguise androgenic alopecia [AGA] is a relatively new phenomenon, I can establish a history of about 10 years with rapid increase in the number of dedicated businesses springing up around the world over the past 3-5 years. Among the current service providers lots of claims are made about special techniques, special pigments with undisclosed formulas, and of course many claiming to be the first or to be offering the best results. Because this is a relatively new type of service it seems quite reasonable to ask the obvious question, what qualifications does the service provider actually have? Together with my research team I decided to have a closer look at who the current service providers are and what their backgrounds might be, our investigation involved the review of about 100 websites, some business name searches and discussion with a cross section of scalp pigmentation service providers as well as hair transplant services. I discovered that the service is being offered by people with quite a wide range of backgrounds. Health Professionals - Nurses, Plastic Surgeons, Hair Transplant Surgeons etc, this group seems mostly to be working in allied areas of patient care. Medical Tattooists - These seemed to be cosmetic tattooists most of whom had evidence of some form of additional formal training for medical tattoo services. 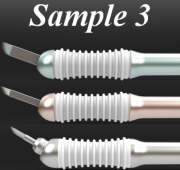 Cosmetic Tattooists - Most had some evidence of training for permanent makeup type services. Body Art Tattooists - A few had evidence of training in cosmetic tattoo services and some referred to undergoing a tattoo apprenticeship. No Evidence of Qualifications - there were more than a few that we found with no evidence of any formal qualification or training. To our surprise the websites of the dedicated scalp MicroPigmentation services that we viewed had little evidence of formal qualifications in any health discipline that would support the provision of services related to a medical condition and information about external training in medical tattooing was quite vague, though some made mention of their own internal training programs. Some of the industry members that we spoke with told us that they have seen examples of people with no prior experience completing a 4 day course in makeup tattooing and then opening up specialist scalp micropigmentation clinics. This also correlated with the age of some of the businesses and business websites out there some of whom were claiming to have many years of experience. Some of the causes of alopecia are temporary and will resolve in a few weeks to months without treatment, others require urgent medical intervention, others may improve over time with the correct diagnosis and treatment, some are cyclical with exacerbations and remissions and others are progressive but may be improved with medical treatment. Some industry members we spoke to had very reasonable concerns about scalp pigmentation service providers not having any formal health qualifications or at least the supervision of a qualified health practitioner. It seems quite plausible that patients may be provided Scalp MicroPigmentation when it is inappropriate or in circumstances where it may exacerbate their underlying alopecia unless there is supervision by a qualified health professional. Several services make mention of special techniques and unique pigment formulas but the details are sparse and those claims look like they would be an effective marketing tool. However a few service providers openly disclosed the equipment, needles, and pigments that they use for the service and even went as far as providing us ingredients lists and Materials Safety Data Sheets for the pigments that were being used. Complete and open disclosure of products and ingredients would be expected of any health service and we cannot think of a legitimate justification for withholding that type of information from a patient undergoing this type of service. It is worth noting that in 2013 New Zealand health regulators conducted random testing on a range of tattoo pigments and found that some of the pigments tested were not in compliance with the recommended limits for heavy metals such as Lead, Cadmium, Cobalt, Mercury and Arsenic. In May/June 2014 European and Australian health regulators issued a recall on 9 tattoo pigments listing the health threat as 'serious', seven of the tattoo pigment products were found to contain a cancer-causing chemical [carcinogen] 4-methyl-m-phenylendiamine and four also contained other contaminants [including lead and copper or arsenic, lead and nickel]. Australian regulators noted that "the products recalled originated mainly from the USA (five products), China (three products), and Japan (one product) indicating that inks sourced from North America are not safer than those from other countries". This is a significant conclusion because during our own investigation we observed that service providers sometimes claimed they were using safer pigments because they had sourced them from the USA. The source and composition of the tattoo pigments are obviously very important considerations for patients thinking about having this type of treatment. Some industry members we spoke with expressed concern about aggressive sales and advertising tactics being used to promote these types of service, certainly some of the advertising material that we have seen online is outside of what one would normally expect for the promotion of a service that is related to a medical condition. I spoke with two hair transplant patients who described how they were placed under pressure to commit to scalp tattooing on their first visit to a service centre. Another patient said that after his initial visit to a SMP clinic he had no intention of returning to them but nonetheless they still called him twice trying to talk him into making another appointment. Several medical practitioners have pointed out that there is a strong co-morbidity [conditions that occur simultaneously in a patient] between any form of alopecia and depression, therefore this group of patients are more likely to be vulnerable and less likely to make effective decisions about important life changing events. Aggressive marketing, lack of health professional supervision, and vulnerable patients sounds like a very dangerous mix. This segment of the cosmetic tattoo industry is becoming big business with franchises and clinics opening up in multiple countries, hundreds of thousands of dollars are changing hands between the growing numbers of patients and the clinics, and things are getting nasty. The most damming evidence of just how aggressive this industry has become came from a technician who we have confirmed from other industry members and several medical practitioners is well respected medical tattooist, I recount her story below. I received a spam email from a person running a Scalp Micropigmentation Marketing site saying they wanted to add my business to their site, after looking at the site we quickly decided that we wanted nothing to do with it because it had what we felt was inaccurate information and was misrepresenting what was clearly a paid advertising site as being independent opinion. "one of the worlds foremost experts on SMP"
yet we saw no evidence of any health qualifications and no evidence of any qualifications in medical tattooing and most importantly no evidence of qualifications in the provision of scalp tattooing. After discussion with two registered health professionals they agreed that some of the information supplied on the site fell squarely within the context of medical advice, and inappropriate advice at that. Over the course of 2-3 emails I tried to explain to this person that we felt the content on the site was inappropriate and we wanted nothing to do with it. The emails became increasingly aggressive and I ended up warning ... stop harassing me. Then I was subject to retaliation by posting false and highly defamatory material about me on the advertising website and even went as far as breaching my copyright by uploading images of me from my website to the advertising site alongside the vitriolic attack. In addition to the defamatory attack on me the page on the site also attacked another business and two large well respected medical associations in the United States. We were completely stunned how sick & vicious the personal attack was! After reading the email correspondence, and viewing the SMP advertising site I can confirm that this is one of the most disgraceful forms of negative advertising that I have ever witnessed during the course of my career. The most shocking thing is that along side the toxic diatribe there were paid adverts for 4 of the large Scalp Micropigmentation companies. The site in question claims to provide the the "worlds only unbiased source" of information relating to SMP and provides some glowing reviews for the businesses that are also advertising on the site including one operating in the same country as the victim of the above abuse. Correspondence from another industry member stated that they had virtually been "blackmailed" into advertising on the site because they were informed that the unsatisfactory "review" for their business could be turned into a positive one once they had paid for advertising. This has the look and feel of a modern day version of a stand over racket with attempts take down the opposition with a personal attack and at the same time brimming with sycophantic praise for benefactors. The abusive content in question has subsequently been removed, partly due to breaches of the web host terms and conditions, but the glowing 'independent' reviews still remain. This is clearly the kind of activity that should be examined by the advertising standards regulators. Apparently there have also been several legal battles over unauthorised use of patient images, so much so that several service providers said that they no longer place patients photographs on their website. Patients who have undergone this type of service also seem to have a range of complaints about the outcomes, such as the results being different to what was expected right up to the work requiring complete correction or removal of an entire head of tattooing, for this reason it seems obvious that those who are providing the service need to have undergone formal training under the supervision of a qualified health professional. In most jurisdictions this is an industry that is virtually unregulated so there is nothing to stop your local tattoo parlour opening up a specialist Scalp Micropigmentation clinic or even your local florist or baker provided that they comply with the hygiene requirements, nobody would debate that this is less than adequate. Almost without exception the hair transplant surgeons and medical tattooists that we spoke with agreed that this segment of the industry needs urgent regulation and the services would be best provided under the supervision of a qualified health practitioner, unsurprisingly the dedicated SMP clinics do not seem to agree. After completion of the research for this article we discovered that the transplant scars that are being covered up were not nearly as ugly as we first thought. Copyright © 2014 CosmeticTattoo.org & the article author All Rights Reserved. No copying, transmission or reproduction of site content is permitted without our prior written consent.